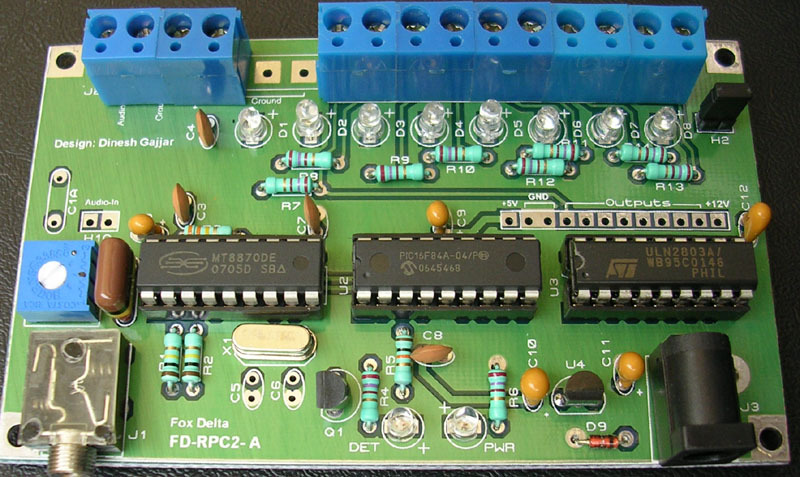 I have built a Fox Delta FD-RPC2A DTMF controller for my Repeater project. The PDF File for the project is Here. Controller here is based on a design idea from Dave Robinson WW2R who has provided necessary software & hardware information on this controller. Design of this Controller is based on MT8870 DTMF receiver, a Microchip 16F84A Micro-Controller and an ULN2803A relay driver . Controller has 8 Open Collector outputs to drive 8 relays. Outputs are available at 12pin header socket or screw-in terminal block where a ribbon cable may be connected. 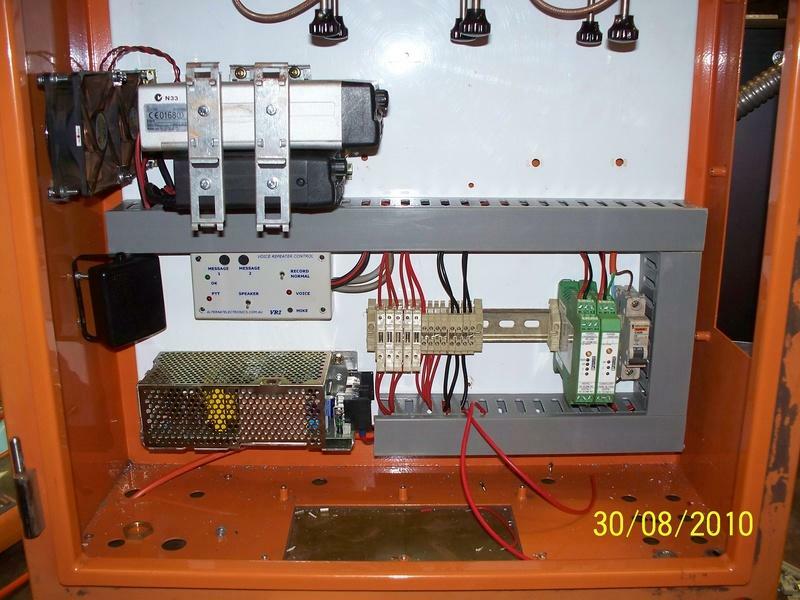 In addition to 8 Open Collector outputs, the header and terminal socket provides 12V, Ground & 5V (for pull-ups only). 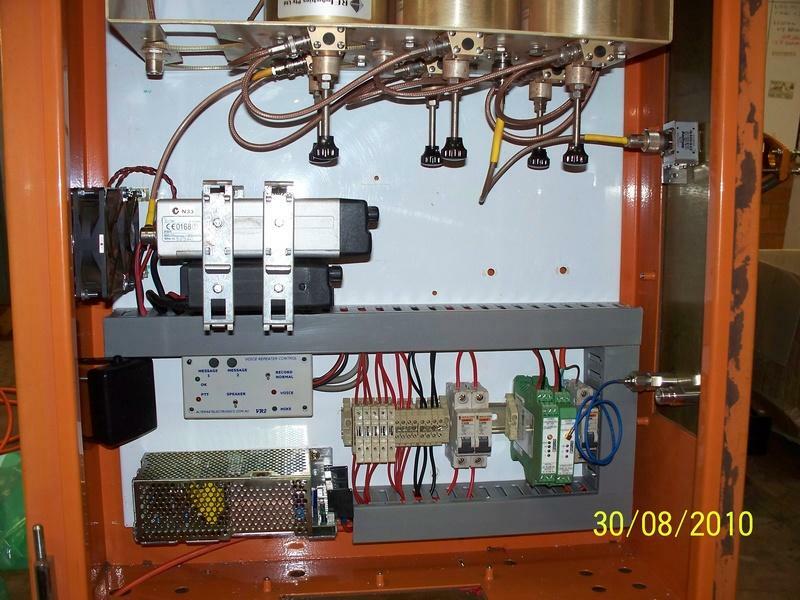 Controller is without relays & is designed to be accommodated within an existing project, where DTMF control is required. It will drive 5/12V relays of any type, without problems. Firmware for PIC is available for download in .ASM file with password 1234 which may be changed at the time of programming the PIC. This firmware was tested & controller worked perfectly without missing any command. Another version of Firmware which will "remember" the last status of the relay's after a power failure, is also available but is un-tested." I have purchased this relay board from eBay to interface the DTMF controller to my repeater and other devices. This is a 12V Relay interface board and it can be controlled directly by a wide range of microcontrollers such as Arduino AVR, PIC, DSP, ARM, ARM, MSP430, and so on. Standard interface that can be controlled directly byArduino AVR, PIC, DSP, ARM, ARM, MSP430, TTL and so on. And at $17.00 delivered, it's a bargin. 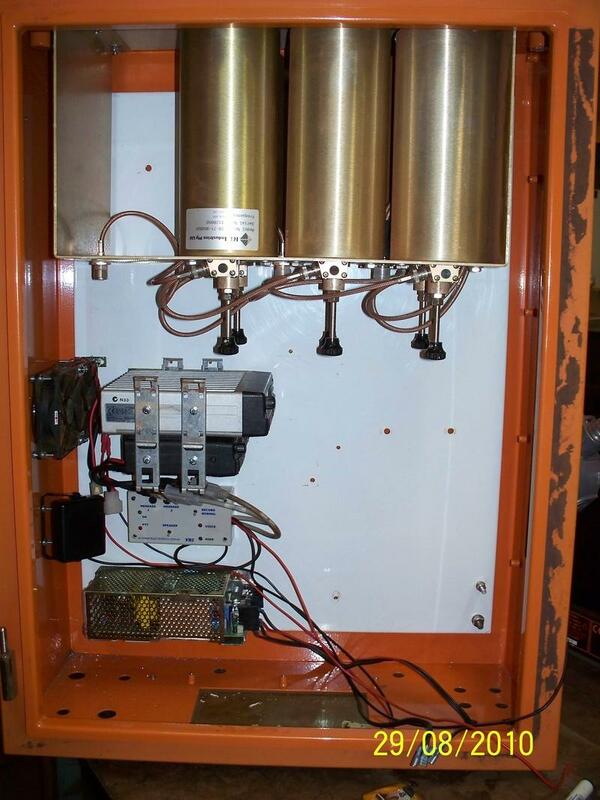 CBRS Citizen Band Repeater Project. This is the start of a CBRS Repeater project I have been wanting to do for years. And now after collecting a few much needed parts and an enclosure, I have made a start. Now that it is finished, I'll set it up at Woodanilling once I have a tower up on the site. 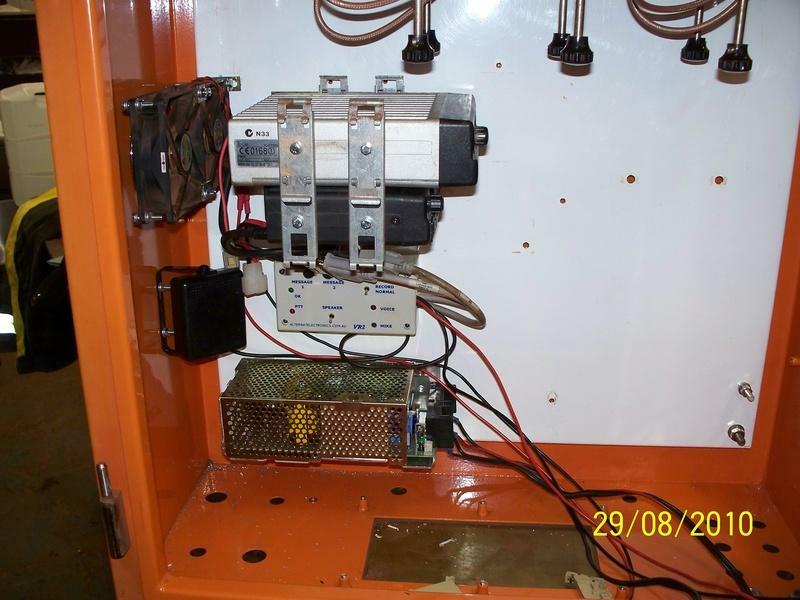 Thanks to a local second-hand salvage company, an old electrical enclosure was located and found to be big enough for the project and was acquired. 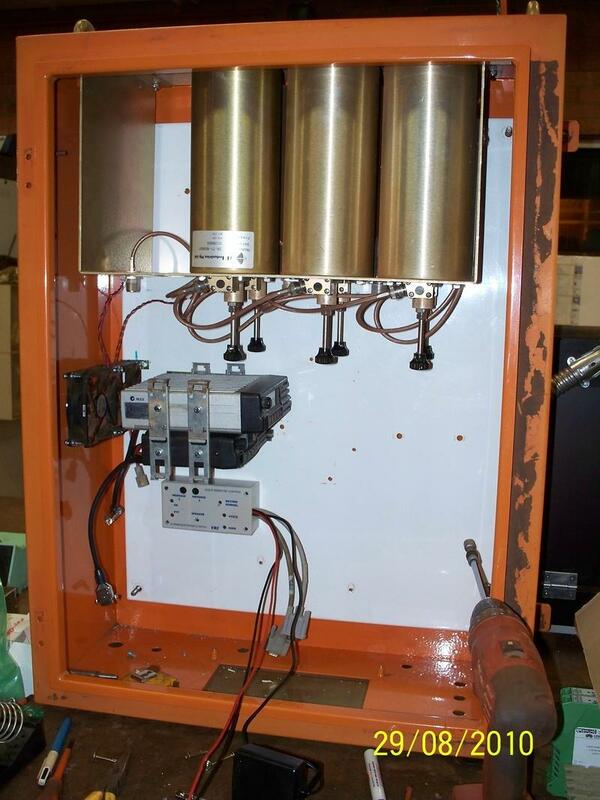 After removing the old equipment from inside the enclosure, the duplexer was installed. Here I have made a bracket using some din rail clamps, to mount the two ICOM radios into the enclosure. The top radio is a ICOM IC-2010 PMR series radio (an oldie, but a goodie!). It was found on eBay for only $100. The bottom radio is an ICOM IC-400pro. This was originally used in the road car, but after I got my amateur radio licence I stopped using CB. The IC-2010 only has the settings for the output frequency loaded into it, and the same with the 400pro, only having the settings for the single receive channel loaded. Both radios are programed to turn on after a power failure. The repeater is controlled by a ALTERNATELECTRONICS VR2 voice repeater control unit. The website for this business is no longer operating but the designer still makes and sells these controllers. The VK6RGN 2 meter amateur repeater uses one of these controllers. This is a very simple and smart controller that uses a few timers and has two message functions, one used for repeater id and the other for what ever you need it for. The id message is played every 5 minutes and the other message is played every 15 minutes. For this repeater i have disabled the second message function. Here you can see the switch mode power supply that I have fitted into the enclosure. 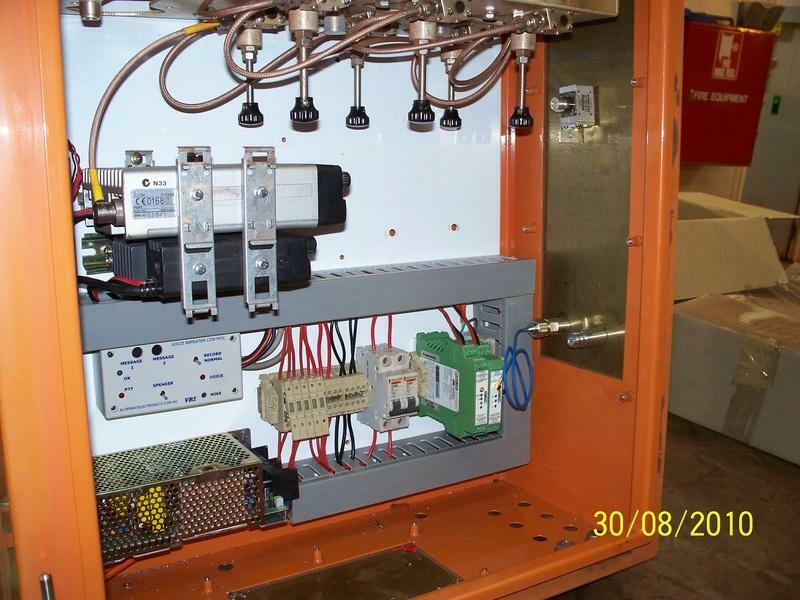 It's a 13 amp supply with all the standard safety features that come with a switch mode supply. A unit will be added later for a battery backup and switching. 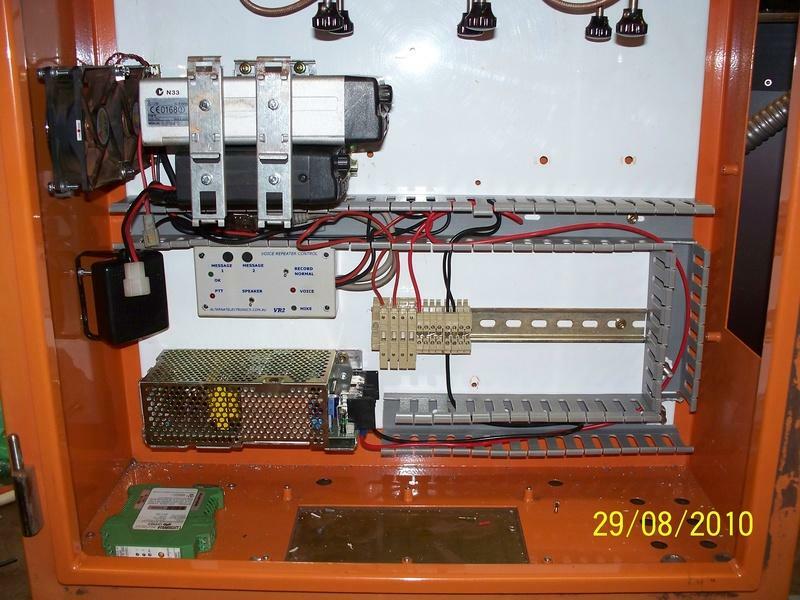 I will also add a solar controller to charge the batteries if the mains power is out for an extended time. The speaker is for the repeater controller, during the controllers setup you can listen to the messages that you save into the controller. During normal operation the speaker is turned off. I've installed some duct to help keep things tidy. 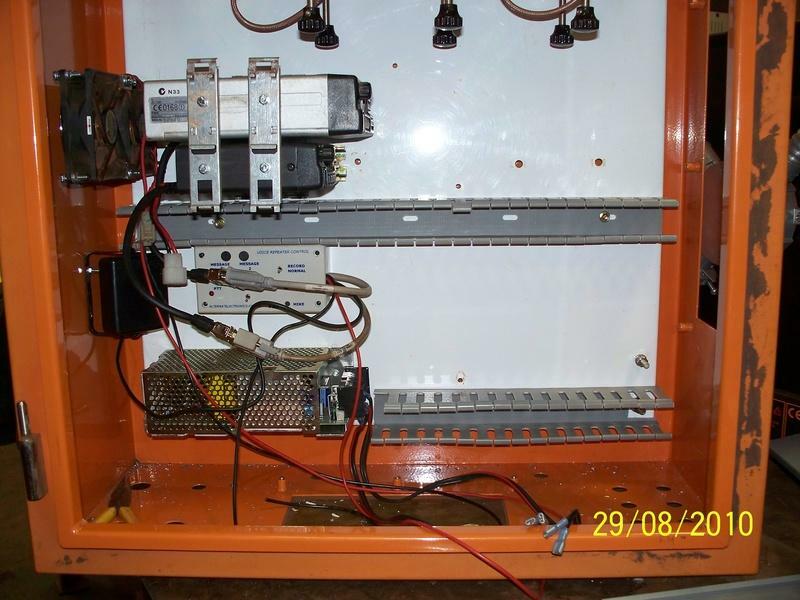 I have decided to install another din rail and terminals to help with the connecting all the wiring and to mount the fuses, circuit beakers and RF link controllers onto. Adding the RF link controllers. I have added these RF link controllers to remotely control the repeater. There is one receiver and one transmitter. The receiver is for remote shutdown and turn on functions for the repeater. 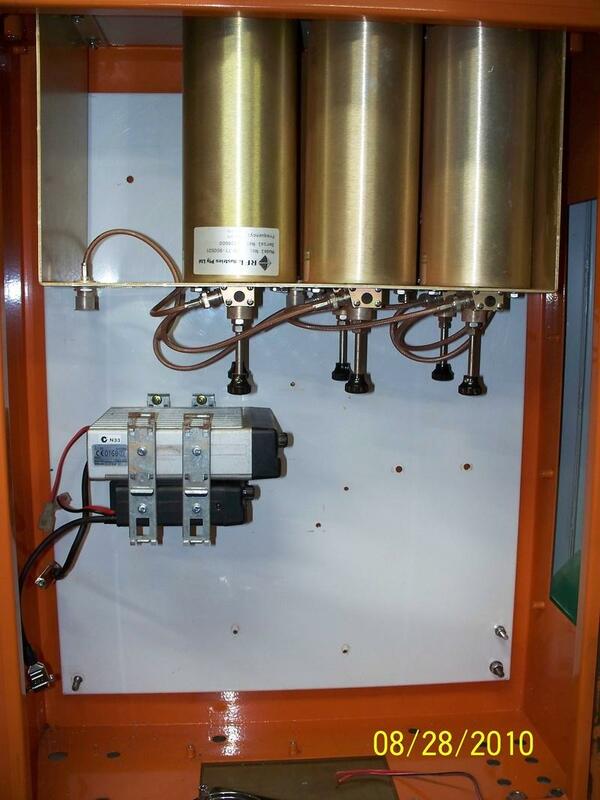 The transmitter is for the alarm functions (door open and over temp alarms or whatever). Currently the RF link units are not wired into the repeater at this stage, but are ready to be if required. The side cover fitted with the three surge arrestors. The top connection is for the TX/RX antenna connection and the bottom two are for the RF link antennas. I have made up the TX radio to duplexer lead and a lead for the duplexer to the output connector on the side panel. I still require a lead for the RX radio to the duplexer to be made and i will do this over the next week or so. 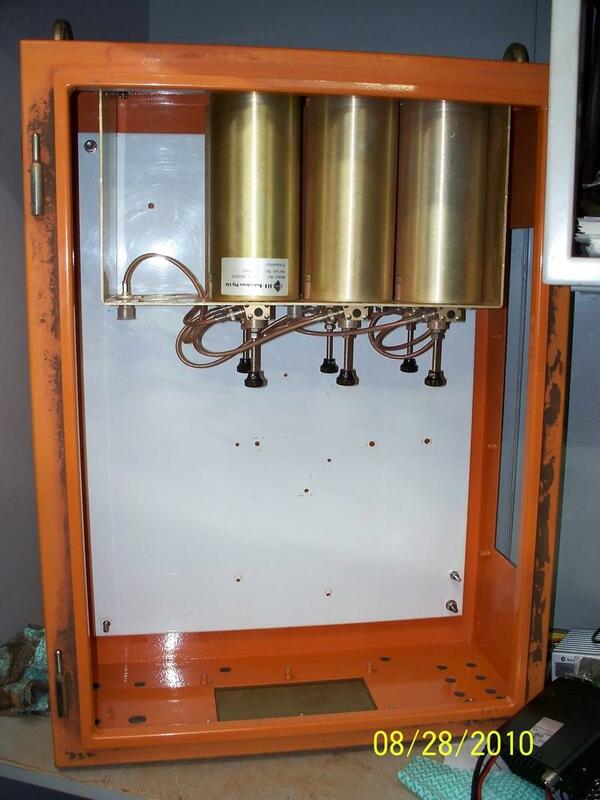 The CBRS repeater has undergone initial testing, which shows that it works as planned and is ready for use, however, I require a licence and once the tower is installed at my block in Woodanilling, it will be installed and a licence for operation at Woodanilling.